There are lot of physics based games but this one beats them all. 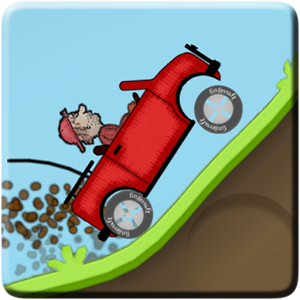 The Hill Climb Racing for Android Smart Phones and tablets as well as iPhone and iPad, is one of best addictive as well as entertaining games. The objective of the game is rather simple, you have to climb a hill in the choices of cars. But the problem is that the climb is based on certain correct decisions you take. In the game you are Newton Bill, a young aspiring uphill racer. Face the challenges of unique hill climbing environments with many different cars, jeeps, tank, bike etc. Within the game you can get bonus by doing daring tricks and collect coins to upgrade your car and reach even higher distances. But all the while do keep a watch on the fuel gauge because it may give away just when you need it most. To download this highly addictive game for your Android smart phones and tablets visit Google Play here. To download this highly addictive game for your iPhone and iPad visit Apple Store here.